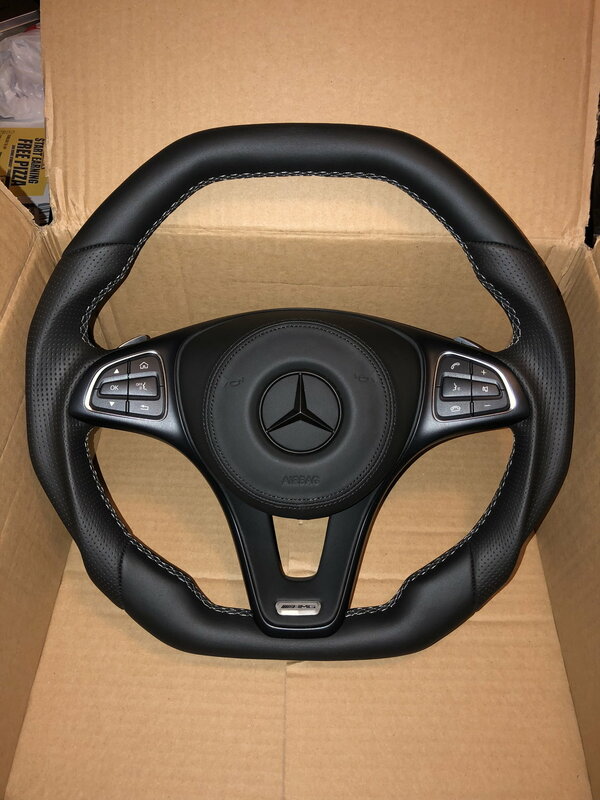 R231 SL550/SL63 steering wheel conversion? 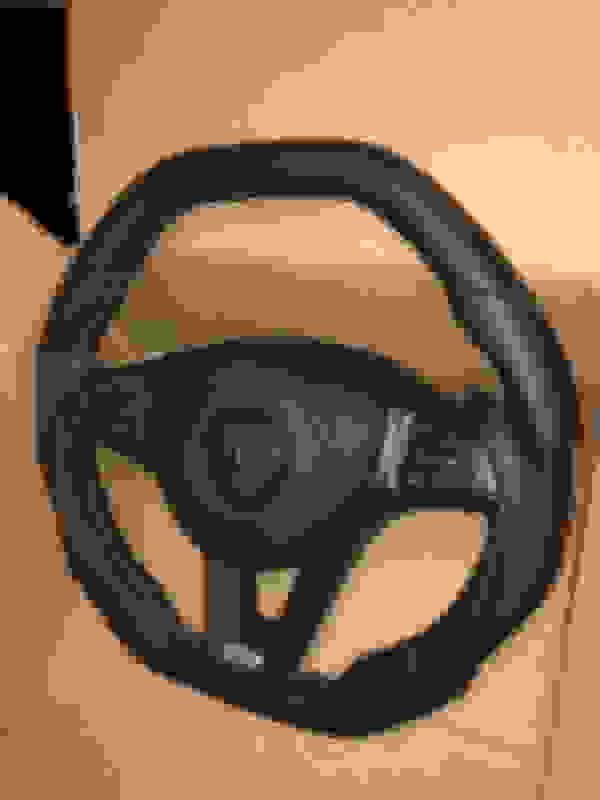 Anyone know if the newer 2013+ SL steering wheels will fit on our cars? There was a member here that had a SLS steering wheel that he was trying to source the airbag for it but I think he gave up the project. I like the SLS steering wheel better, here is a link of the iforged SL55. I have it done on my 2007 SL65. It fits but the steering wheel functions will not work. I tried having someone fix the wiring but no luck. Looks a lot nicer though. I would recommend going with the 09-12 Steering Wheel/Airbag. Works perfectly. Thanks aper, how do you go through the OBD options to change the settings if the buttons don't work? I would recommend going with the 09-12 Steering Wheel/Airbag. Works perfectly. A 09-12 airbag and wheel do work well (plug and play, no programming required) HOWEVER, you MUST use an 09-12 R230 air bag. You will find CLS and SLK wheels that are same and can be used as well, but it will only work with the R230 air bag (CLC and SLK bags will look the same and bolt right up, but are 100% electronically incompatible) . worth mentioning, if you are doing this on a 2003 through 2006 (sl55 or sl65) you will also have to install the plug and play "paddle converter module" in order for the paddles to work. 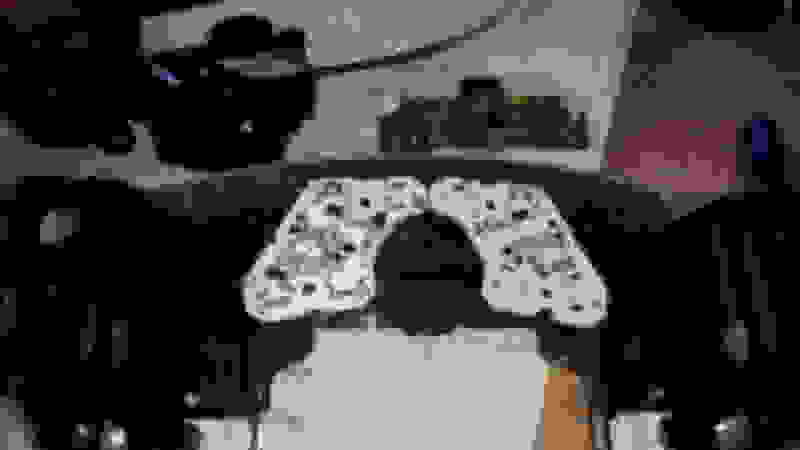 2007 and 2008 are already set up for digital paddles (and do not need this digital to analog paddle module) so the paddle will be plug and play. if you need more info about the paddle converter module, send me a note. It is available from forum sponsors DCT Motorsports and VRP , or directly from me. In Europe, the module is available from comandonlineuk. Any new updates on 2013+ wheels? 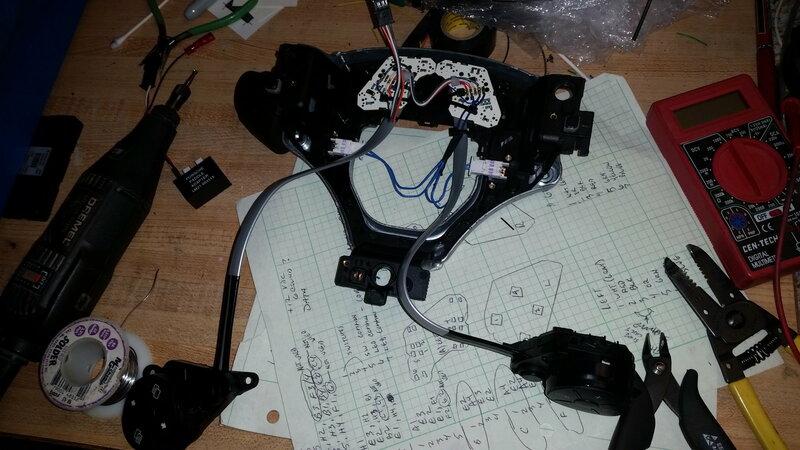 There is a member here(from Europe) that successfully installed and rewired the 2009+ airbag and all the buttons work. It's definitely doable, but you need to find a shop that is knowledgeable with the electronic boards etc. I have (myself) done this upgrade for customers ... Both with the correct bag (from a 2009-2012 R230) and with the incorrect bag (rewired a CLS bag for a 2005 SL65). Using the correct bag (intended for a 2009-2012 R230) was/is a DIRECT PLUG N PLAY (no wiring or programming required). 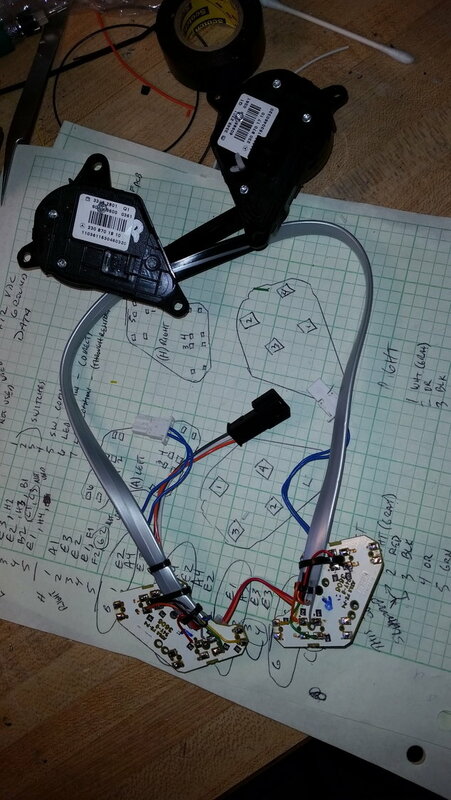 Using the incorrect airbag requires a LOT of rewiring (basically replace the N135 module built into the air-bag with the pcb's from the 2003-2008 R230 button assemblies .... see attached pictures). There may be other ways to skin this cat, but my point is that the correct bag requires NO rewiring. worth pointing out that only 2007 and later R230s (AMGs) support the aluminum paddles ... if you are working with a 2003-2006 R230 (AMG), the paddles need the paddle converter module to be plug n play. I’ve installed 2009-2012 wheel on my 2004 E55. Newer column from 2006-up and a wire harness from the dealer I ordered. The info is over at the w211 Amg forum. Believe the member that posted all the install info username is JOENOBODY. Im currently in the process of retro fitting a 2015-present wheel on my 2004 SL55. It’s a lot more involved though. I’m dealing with a guy overseas to make it happen. I’ll post updates and more info as they come. I believe I would be the first in the states to make this retro fit happen. Keep us posted please. Do you mind me asking how much the electronic part of retrofit cost? Thanks, can you remap 2012 steering wheel buttons by any chance for us? PM me the price please. Thank you. Absolutely I will. As for how much... It's costed me almost $1600 and that's not including the steering wheel. So its freakin expensive. I'll keep you guys posted when I get the parts in hand and actually install. 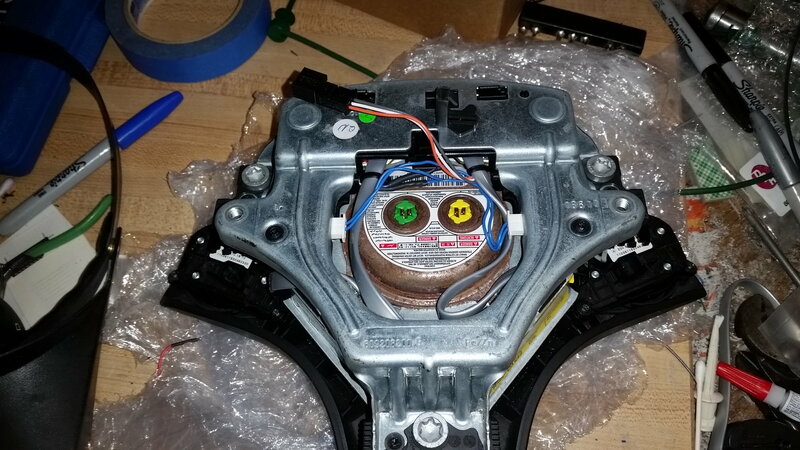 Quick Reply: R231 SL550/SL63 steering wheel conversion?